Christine joined ABC-30 in October 2000 and is excited and honored to be doing the job of her dreams so close to home. The Clovis West graduate originally planned for a career in medicine, but a failed chemistry class made her quickly realize her true calling lay elsewhere. A summer internship at a local TV station, and she was hooked on TV news. So she changed her major to Mass Communications and graduated with honors from UC Berkeley. Out of college, she was hired as a Production Assistant and Newsroom Trainee at KRON-TV in San Francisco. 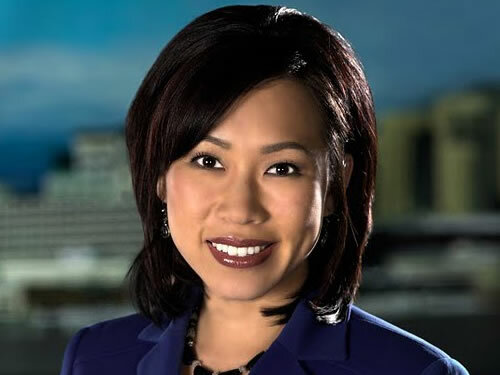 Prior to her current position at ABC-30, she was the Special Projects Producer and Weekend Assignment Editor. Christine earned her Master’s Degree in Mass Communications and Journalism from Fresno State and in 2006 was honored as the top graduate student in the department. She was also a Dean’s Medalist nominee. For several semesters she taught broadcast writing and reporting to undergraduate students there. She currently lives in Fresno with her husband and two young children. In her free time she likes to scrapbook, decorate her home, sing karaoke, shop for bargains, eat Korean food, read and, of course, watch the news. And she dislikes birds, clowns, and scary movies.